With a monthly sale of close to 8000 units and cumulative sales figure of more than 2 lakh units, the Creta quickly became a best-seller for Hyundai while bagging the ICOTY 2016 Award. The Creta competes with Honda BR-V, Renault Duster, Maruti Suzuki S-Cross and Jeep Compass in India. 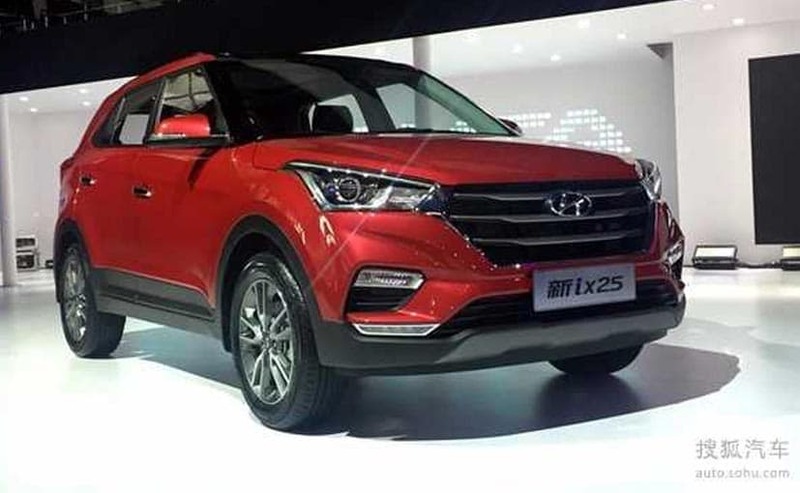 Hyundai unveiled the 2017 Hyundai ix25 (India-bound Hyundai Creta facelift) at the Chengdu Motor Show in China with cosmetic changes and a new engine. With a monthly sale of close to 8000 units and cumulative sales figure of more than 2 lakh units, the Creta quickly became a best-seller for Hyundai while bagging the ICOTY 2016 Award. When is it coming to India you ask? Well, we expect the Creta facelift to be showcased at the 2018 Auto Expo with a launch sometime after that. The updated Hyundai ix25 gets revised styling in the front and the rear. The 2017 Hyundai ix25 also gets a new grille design with chrome surround, redesigned front fog lamps and LED DRLs to give the ix25 a plush look. The update also loses out on Hyundai's signature cascading grille but instead gets single frame hexagonal grille. At the rear, the 2017 Hyundai ix25 gets new tail lamp graphics, redesigned rear bumper and dual exhaust. Hyundai has given subtle touches to the overall design of the ix25, which will vary from market to market. Expect similar styling for the India-bound Creta facelift. Under the hood, the 2017 Hyundai ix25 will replace the 1.4-litre engine with a more powerful 1.4 L turbocharged petrol engine which produces 128 bhp of total power and 211 Nm of peak torque. The 1.6 L petrol engine will continue to churn out peak power of 126 bhp and peak torque of 259 Nm. Transmission duties will be carried out by the same 6-Speed Manual and 6-Speed Automatic gearbox. The Creta competes with Honda BR-V, Renault Duster, Maruti Suzuki S-Cross and Jeep Compass in India. 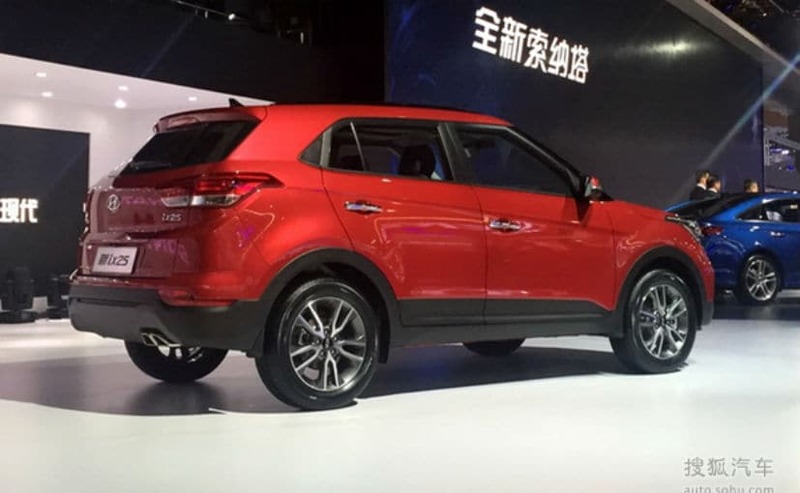 It will also take on the Renault Captur and Mahindra S201 SUV (Tivoli based SUV) when launched.